Shipbuilding: Sewage pipes, drainage pipes, ballast pipes, ventilation pipes and so on. Agricultural Sprinkler Irrigation: Deep Well Pipe, Filter Pipe, Underground Channel Pipe, Drainage Pipe, Irrigation Pipe, etc. For special plastic steel-braided composite pipes(fittings), the liner is made of macro-molecule polymeric materials such as PE, PE-RT, PEX, PP-R, PB and UHMWPE, the interlayer is formed by winding and braiding high-strength plastic coating steel wire(cord thread) and use as wide phase, and the externally-covered protective layer is made of PE and SBS. 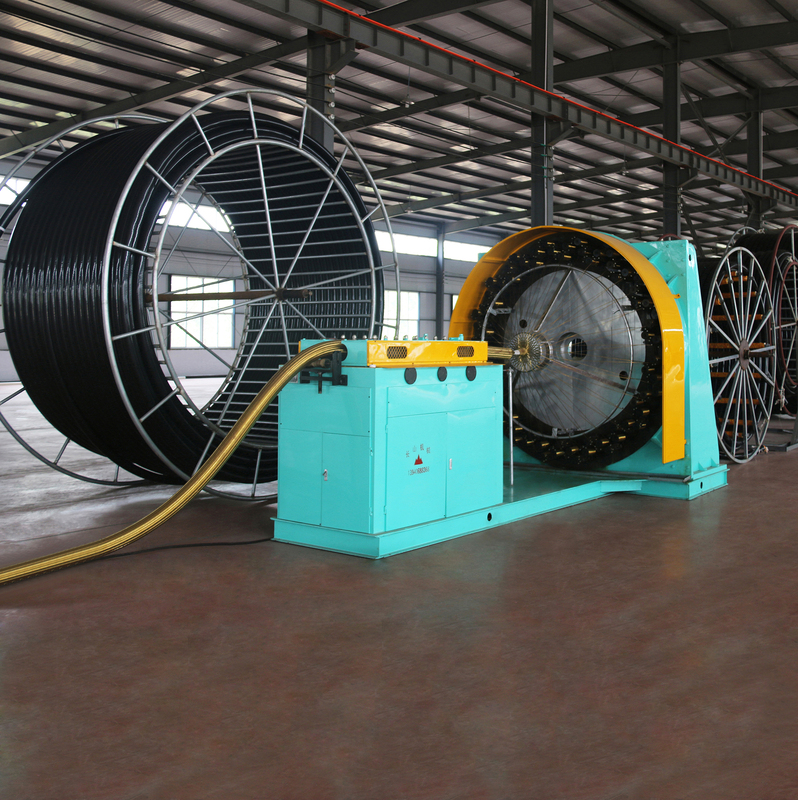 Since high-strength steel wire reinforcement is covered within continuous thermoplastic plastics, the composite pipes of this kind overcome the defects of steel belts and plastic pipes, and enjoy both advantages of high strength steel pipes and corrosion-resistance of plastic pipes. 2. 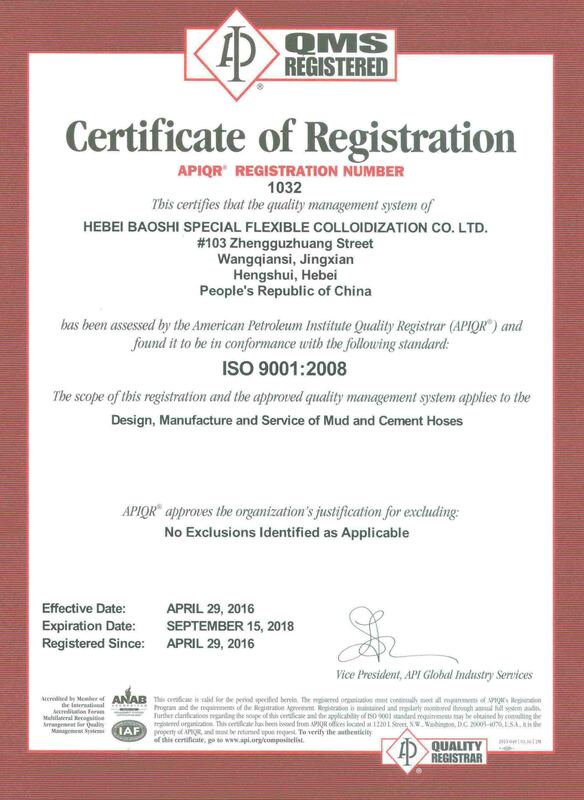 Connection and installation(See Installation Specification for Special Plastic Steel-Braided Composite Pipes for Specific operation methods). In working environment with middle and low pressure, two-piece flange connection and lock sleeve-removable flange connection are usually used; in working environment with middle and high pressure, lock sleeve-Clamp connection is usually used. 1). High Impact-resistance: the pipes enjoy high strength, rigidity and impact-resistance superior to those of plastic pipes, and low coefficient of linear expansion and low creep resistance similar to those of steel pipes. The liner is made of polymer composites, with impact strength of 20 times that of polyvinyl chloride, 4 times that of polyethylene. 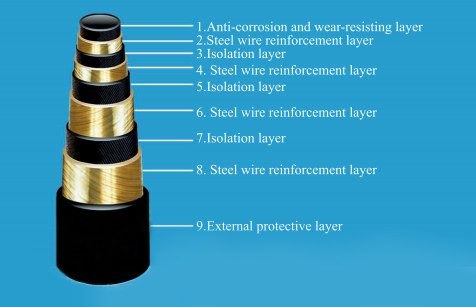 Especially under low-temperature environment, the impact strength of the liner can reach to maximum value inversely. The flexibility provides extremely safe and reliable guarantee for delivery system. Due to the high absorption value of impact energy, this kind of pipes(fittings) are especially suitable to deliver the materials with forms of flakiness and particle, reducing crushing and delivery noise. 2). 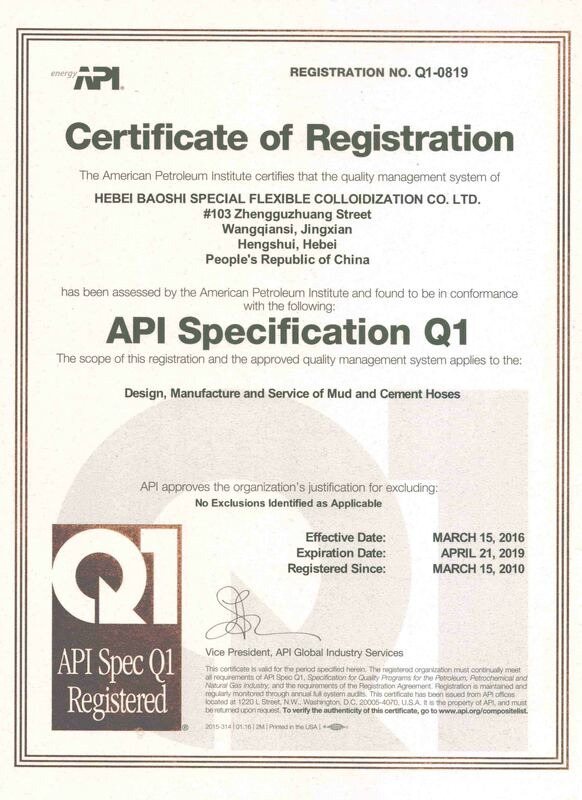 High abrasion resistance: the abrasion resistance of pipes made of polymer material PE is more than 40 times higher than that of steel pipes and stainless steel pipes, and more than 10 times higher than that of PVC pipes and polythene pipes. 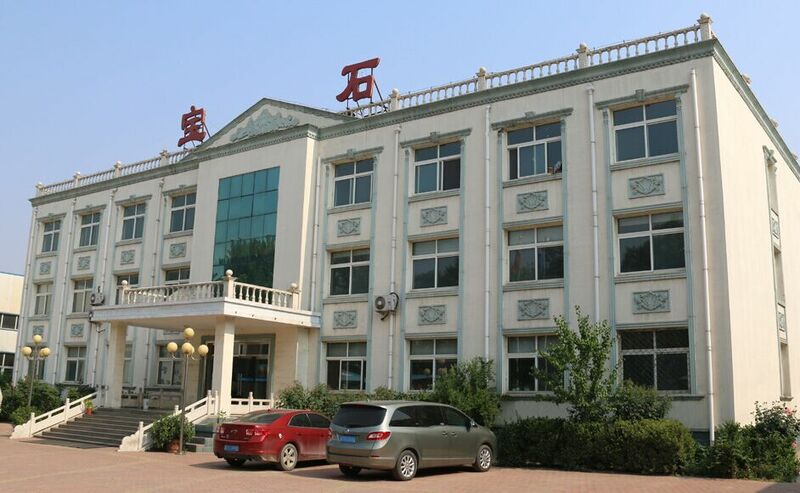 They will perfect well in delivering small-particle slurry such as coal powder, coal water mixture and tailing as well as materials such as grain and raw salt, with service life being greatly prolonged. Furthermore, the delivery efficiency is about 20% higher than that of steel pipes. 4). High strength: the nominal pressure of SPS special steel-braided steel pipes(inner pressure) is 4-25 Mpa, with high internal compressive strength. 5). Long service life: service life of SPS special plastic steel-braided pipes is 5 times that of steel pipes(abrasion life). 1). 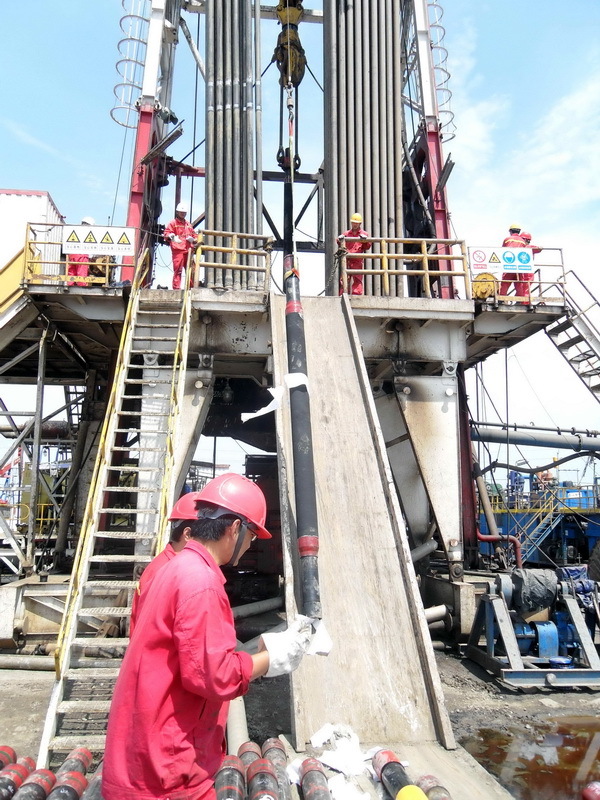 Oil-gas field: used as gathering and transportation pipes for oily sewage, gas field sewage, gas-oil mixture, and polymer solution re-injected into oil well as well as pipes for secondary recovery, third recovery and gathering and transportation system. 2). Mine: used as pipes for ore pulp, tailings, and ventilation, pipes for engineering purpose, and pipes for underground filling. 3). Chemical industry: used as process pipes, and discharge pipes for delivering corrosive gas, liquid, soild power in manufacturing industries of acid, alkali and salt, as well as industries of petrochemical engineering, chemical fertilizer, pesticide, pharmacy, chemistry, mine, rubber and plastic, ect. 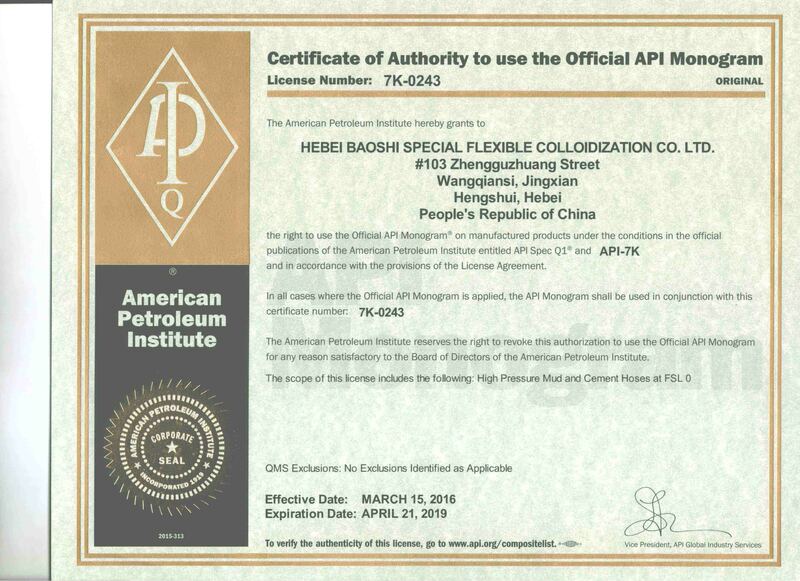 In addition, they can be used to deliver high-corrosion media such as strong acid and alkali, as well as bittern, salt slurry and raw salt in salt chemical engineering. 4). Municipal engineering: used as pipes for water supply and drainage, potable water, backwater from heat supply network, natural gas, and fuel gas in cities and towns.